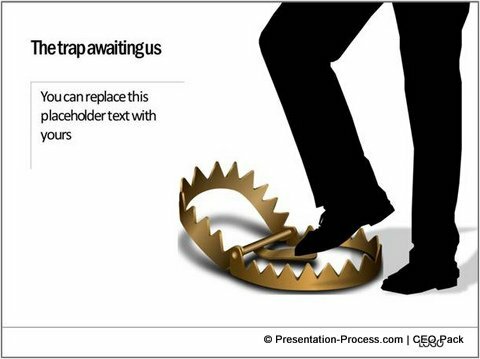 Present your new concept or idea in Visual form instead of as boring text. 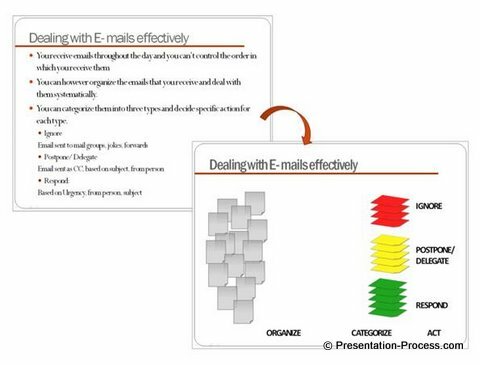 See the power of setting the context with a diagram before providing details to your audience. 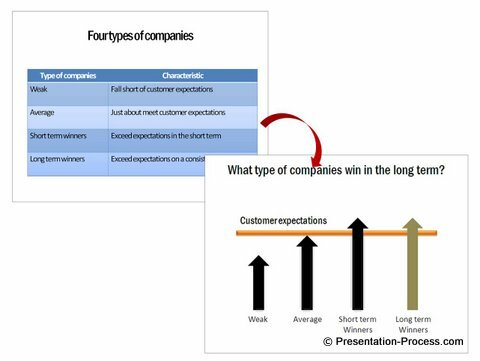 If you are a business presenter, you would have realized by now that it is not easy to explain a new concept or idea to an audience. No matter how good you are with your words, you can’t avoid losing a few people in the room. In fact, the more you talk – the more you confuse the audience. So, they can’t visualize the relationship between your thoughts as easily as you do. Result – they either understand you wrongly or switch off. Draw your concept. Make it visual and see the bulbs glowing in your audience’s faces. You don’t have to be a Da Vinci or Michelangelo to sketch your thoughts. Visualizing an idea has more to do with your thought clarity than about your drawing skills.In this article, we will see a simple makeover of a concept slide and realize the power of idea visualization. 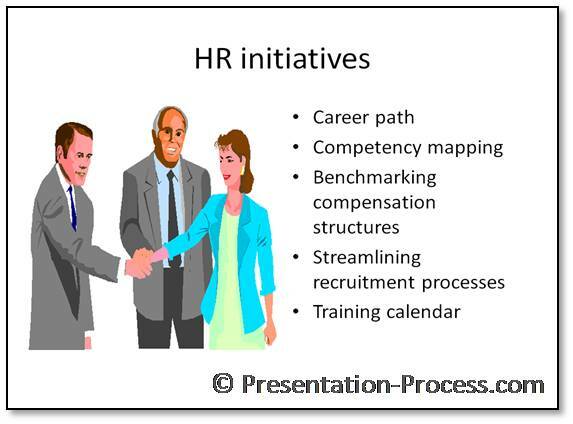 Let us see how we can organize the information and visualize the relationship to make the slide visual. 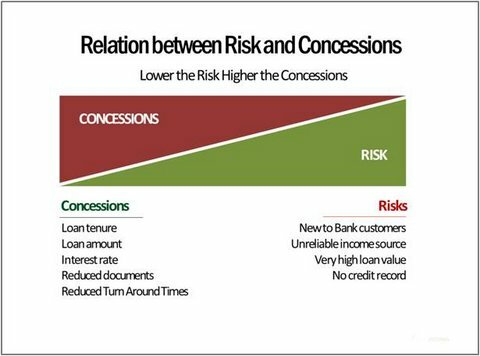 This simple diagram shows – ‘Extent of concessions given to the customer reduces as the amount of risk brought in by the customer increases’. Once you establish the core relationship with your diagram, you can flesh out the relevant details. 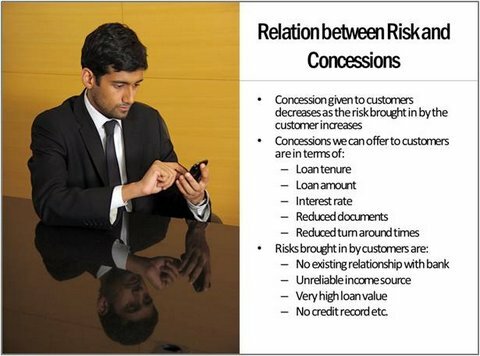 In this case, the details are – the type of concessions we offer and the kind of risks brought in by the customer. Remember, it is the context that lends meaning to details. So, whenever you want to explain a new concept to your audience, take a little time to draw the core concept first. Stay there till you feel confident that everyone in the audience‘got’ the relationship shown in the diagram. Then and only then you add details. This simple trick should help you explain any new idea more effectively to your audience.